Bharat Ratna Lata Mangeshkar is one of the most respected and revered playback singers of India, having recorded songs for over a thousand Hindi films and in over 36 regional Indian and foreign languages. Besides, being the recipient of three National Film Awards, 12 Bengal Film Journalist's Association Awards, 4 Filmfare Best Female Playback Awards, 2 Filmfare Special Awards, Filmfare Lifetime Achievement Award and the Dadasaheb Phalke Award and the Officer of the Legion of Honour Award (France's highest civilian award) among many others, honours and awards are commonplace for this legend. 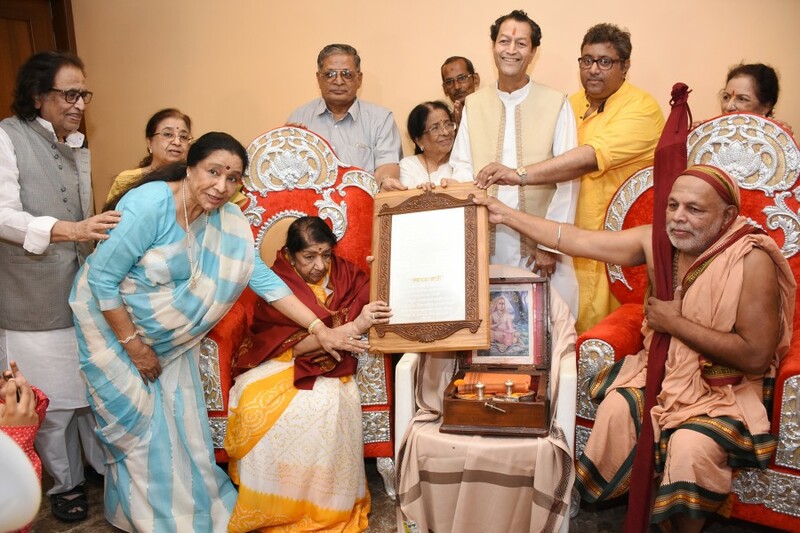 Yet, Lata Mangeshkar is touched when she is respected and honoured when Shrimad Jagatguru Shankaracharya Param Pujya Vidyanarsimha Bharati Swami of Math at Karvir, Kolhapur, chose to honour her with the 'Swara Mauli' title and conferred the same to her at her Prabhu Kunj residence in Mumbai on May 12. Lata Mangeshkar and Asha Bhosle share a moment at Lata Mangeshkar's felicitation by the Karvir Pith Shankaracharya at Prabhu Kunj. Lata Mangeshkar, Asha Bhosle, Adinath Mangeshkar and Hridaynath Mangeshkar at Lata Mangeshkar's felicitation by the Karvir Pith Shankaracharya. 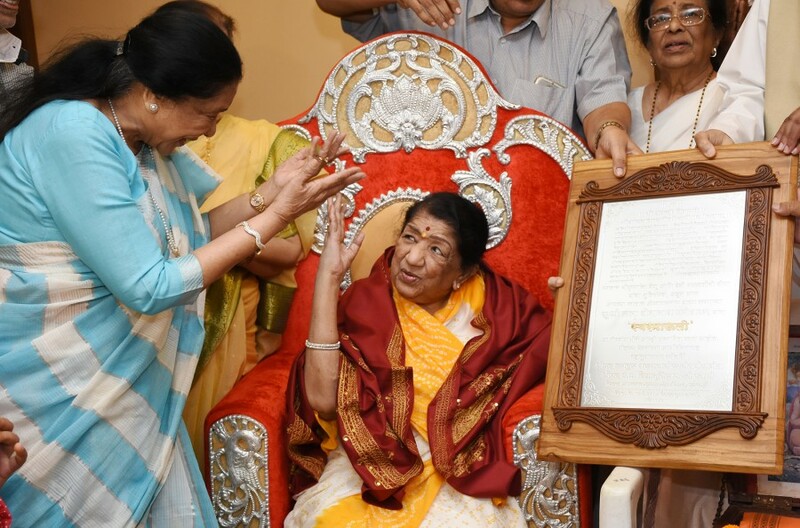 Lata Mangeshkar's felicitation by the Karvir Pith Shankaracharya at Prabhu Kunj.